We’d love your help. 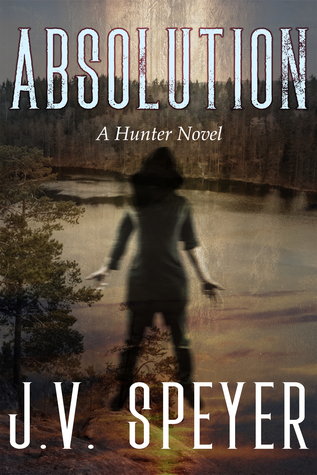 Let us know what’s wrong with this preview of Absolution by J.V. Speyer. The would-be highwayman killer’s case is closed, and Luis has been cleared to return to work. He and Donovan are starting their new life together, and while they’re both a little new at this whole “stable relationship” thing they’re determined to make things work. When people start dying at Assonet Ledge, it seems like a typical case for Donovan until one of the victims tu The would-be highwayman killer’s case is closed, and Luis has been cleared to return to work. He and Donovan are starting their new life together, and while they’re both a little new at this whole “stable relationship” thing they’re determined to make things work. When people start dying at Assonet Ledge, it seems like a typical case for Donovan until one of the victims turns out to be a missing person from out of state, bringing the FBI into one of Donovan’s cases yet again. To ask other readers questions about Absolution, please sign up. J. V. Speyer has been telling stories since she was a small child. Her father raised her on a steady diet of science fiction, horror, and fantasy, and she came to romance later in life. Most of her inspiration is drawn from music, whether from a specific song or just a rhythm. J. V. grew up in Upstate New York, in a deeply diverse city in the heart of the Rust Belt. She now makes her home just out J. V. Speyer has been telling stories since she was a small child. Her father raised her on a steady diet of science fiction, horror, and fantasy, and she came to romance later in life. Most of her inspiration is drawn from music, whether from a specific song or just a rhythm. J. V. grew up in Upstate New York, in a deeply diverse city in the heart of the Rust Belt. She now makes her home just outside of Boston in an old farmhouse with more animals than people. She’s held jobs in security, accounting, finance, and non-profit management before turning to writing professionally. In her spare time, J. V. enjoys baseball, history, and music. She can often be found avoiding direct sunlight and seeking out the perfect martini.